Janes was opened in 1966 by Vera MacLeod (our mother) and her mother Cecily Jane Brown, in the front room of Mrs Brown’s house at No. 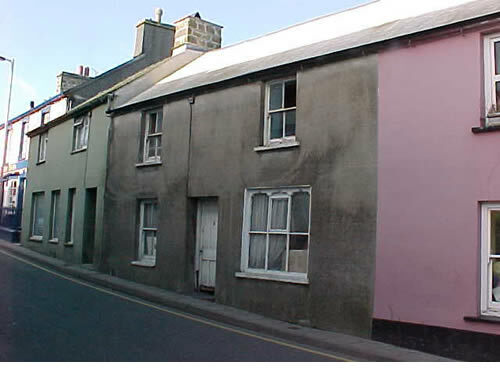 31 High Street, Fishguard. The idea for the shop arose when they failed to find either an interesting enough choice of yarns locally or obliging service from those providing them. Many people in those days would not even consider going as far as Haverfordwest to do their shopping! In 1970 the butcher’s shop at No. 18 High Street was offered for sale and it was decided that this would provide a better location and a larger shop. Furthermore, it provided easier access to the town centre for Mrs Brown, who by this time was 70 years old and having some difficulty walking. After extensive renovation, providing stairs and floors to the upstairs and an extension behind, Mrs. Brown moved into the living accommodation and the shop into its new front room (now the coffee shop). A further purchase in 1983, two doors further down High Street, provided Janes with its current premises. And this time all of the building was devoted to the business – shop downstairs and backup stock upstairs. Number 16 High Street was purchased some time later. 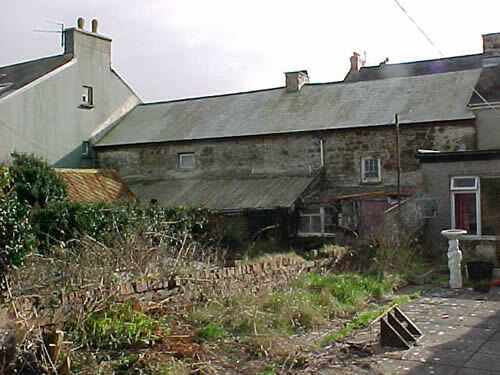 The most ambitious objective of this project was to link the three properties, what was the current shop number 14 and the adjacent two buildings, 16 and 18. Sadly our mother Vera, who was instrumental in the design of the new coffee shop passed away in August 2005 without seeing the results of her hard work. The coffee shop is deceptively spacious; the front room leads into the back coffee shop and open plan kitchen, and continues into the garden. On the walls of the coffee shop hang the paintings of local artist Beth Robinson. The rear garden is a place of tranquillity and is a hidden gem for garden lovers. The garden is designed around the pond and water feature and is becoming an attraction in itself as it develops over the seasons; a corner of the garden is left wild for the birds to enjoy (and us to enjoy them). On a lovely sunny day we feel it’s a real treat for the senses to sit, relax and listen to the trickle of the pond and the birds chirping in the background. Dogs are welcome in the garden. Next to this is our vegetable patch, which provides ideal growing conditions for the berries and vegetables that we harvest for the coffee shop. 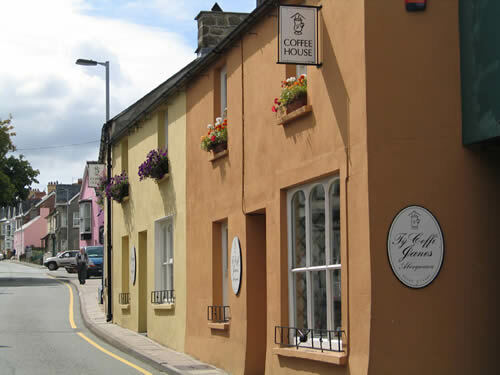 The expanded business benefits from being the only specialist wool shop within a 15-mile radius of Fishguard, having a broad range of products and services that is unique under one roof in Pembrokeshire, with an overall image of quality and attractiveness. The personal service and attention to customer requirements is as important in the future as it has always been. Lastly, we are Catriona and Penelope, twin daughters of Vera and have returned to Fishguard with our husbands (Harry and Brian) and children (Sebastian and Francesca). Janes is very much a family business and our success is due not only to our efforts, but to the support and hard work of our husbands and staff.